Don’t get stunned with the headline. The news does stand true as BMW Group India has officially announced a price increase of up to 5% across its BMW and MINI product range which will come to effect from 1 January 2015 as per reliable sources. The concerned BMW Group India didn’t made a satisfactory response regarding their decision which indeed going to make people go doubtful in their actions since they are always a brand whose moves are watched out for by the masses. And what makes it more complex is the time when this announcement was made despite a global softening of raw material prices. “We want to maintain sustainable leadership in the Indian market with a strong brand and an exceptional model range with unbeatable product substance. With the price increase, BMW Group will maintain its premium positioning in the Indian luxury car segment,” Philipp von Sahr, President, BMW Group India, said in a statement regarding the announcement of the same. They were struggling against the onslaught of Mercedes-Benz and Audi both of which are flush with a bevy of products, had announced a similar increase in the same period last year. 2014 has been a tough year for the Bavarian carmaker as it trails Audi and Mercedes-Benz on the sales front by a considerable margin. The challenge for BMW is that they are trailing in the third position in the luxury car market after Mercedes-Benz and Audi. 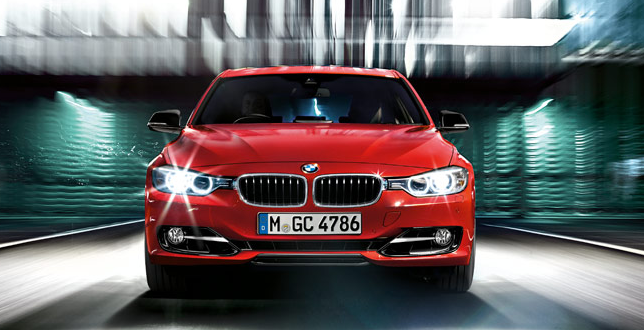 BMW’s portfolio includes the 1 Series, 3 Series, 3 Series Gran Turismo, 5 Series, 7 Series, X1 and X3 among the locally assembled range in Chennai. The BMW 6 Series Gran Coupe, Active Hybrid 7, X6, Z4, M3, M4 Coupe, M5 and the M6 Gran Coupe are all imported as Completely Built Units. Among the Minis, you can buy the 3-door, 5-door, Convertible and Countryman in India. When we go by the numbers BMW Group India has 37 sales outlets in the Indian market across Delhi, Noida, Gurgaon, Faridabad, Mumbai, Bangalore, Mangalore, Indore, Chandigarh, Ludhiana, Hyderabad, Chennai, Coimbatore, Pune, Goa, Kolkata, Bhubaneswar, Ahmedabad, Surat, Kochi, Kozhikode, Jaipur, Udaipur, Raipur, Nagpur, Lucknow and Kanpur. And to have such huge number of outlets is indeed not a small deal by any means.And by the end of 2015 the widely accepted company is aiming to have atleast 50 dealerships so as to make their mark in major metropolitan centres and they are on the run to make 10 new models in the coming year itself. Only time will tell whether they have more surprises under their possession for them to make it big in the indian market. So let’s wait and see how things go for them in the coming months itself.